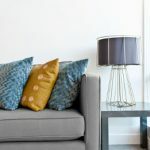 Let our sofa cleaning services in Winston-Salem transform the furniture in your home. Don’t you wish that you could put bubble wrap around your sofa, so it would never get dirty? Since that isn’t a very practical solution, our sofa cleaning services at Steam Source in Winston-Salem, North Carolina are the next best thing. We have the expertise you need for every type of sofa material to get your furniture looking as good as the day you brought it home from the store. It might surprise you just how much the appearance of your sofa may have changed. It can capture dust, debris, pollen, body oils, and much more over time and since the resulting changes are gradual, they can go undetected. We love to see the surprise on our customers’ faces when they realize the transformation that results after our sofa cleaning services are completed. Our professional sofa cleaning gets to dirt and germs deep down in the material as well as surface stains and dirt. Your sofa will not only look better, but it will be healthier, too. 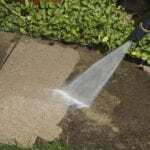 We use the same hot water extraction method for sofa cleaning that we do for carpet cleaning. The only difference is that it is gentler to be safe for delicate upholstery. Dirty upholstery can affect the indoor air quality of your home just as much as dirty vents and duct work can. 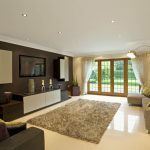 Let us provide this important cleaning service for you along with any of our other cleaning services so that you and your family can breathe clean, fresh air in your home. Call today to schedule an appointment or for further information about our sofa cleaning options! 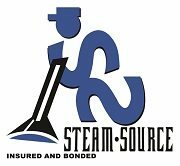 At Steam Source, we offer sofa cleaning services in Winston-Salem, Greensboro, Kernersville, Clemmons, Advance, High Point, Mocksville, Pfafftown, Jamestown, Oak Ridge, Summerfield, Lexington, King, Walkertown, Colfax, Lewisville, Welcome, Bermuda Run, Thomasville, Yadkinville, and Walnut Cove, North Carolina.